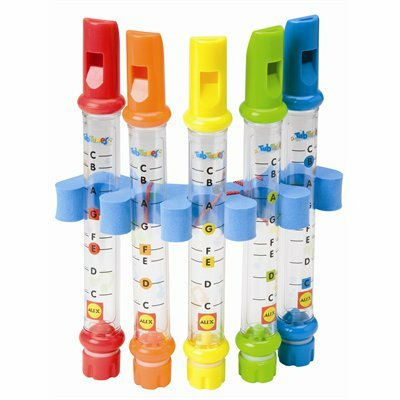 With these 5 Water Flutes, you can experiment with music and learn to play songs during bath time. Discover different sounds and tones with these real musical flutes that can be tuned with water to create a variety of sounds. Includes easy-to-follow songs.